Ever wonder how certain digital marketing tactics impact each other? And how you can mix them together for maximum results? For example, how does advertising in Google Ads impact your search engine rankings? Or how about the reverse — how does SEO impact Google Ads campaigns? And how does social media marketing impact email marketing? Or are these tactics mutually exclusive so they have zero impact on each other? The short answer is no, they are not mutually exclusive tactics. In fact, they all impact each other and they all have the ability to enhance the performance of the other tactics. Let’s first clear up the misconception that advertising in Google can directly influence your search engine rankings. That’s simply not true. However, advertising can actually help your SEO campaign in other ways. For example, by advertising on relevant keywords you’ll be able to more quickly determine which keywords drive leads and sales for your business. Online advertising, both search and banner ads, drives more organic search for your brand and products or services. That means prospects may first find you via an online ad, but then they’ll “Google” your business name to learn more and eventually convert to a lead or sale. These leads or sales would show up as organic, or SEO conversions, but they were originally generated from the online ads. Finally, let’s talk about email and social media, and how they relate to SEO. Both email and social media are great tools to form relationships with other businesses, which can lead to more high-quality backlinks via content sharing. If you’re familiar with SEO, then you know that having more backlinks from legitimate websites leads to a higher domain authority, which in turn, leads to higher search engine rankings. How does social media marketing, SEO and email marketing affect online advertising? They all play essentially the same critical role in the sales process. The role I’m referring to is follow-up. The vast majority of prospects who click on your online ads will not convert to leads or sales. That’s just the reality of online advertising. If 2% buy right away, then you’re doing pretty well. That means 98% do not buy and end up surfing around more online. If you have strong SEO rankings, then guess what those prospects will inevitably see when doing more research? Yup, your website. And if you’re using social media marketing, then you could have convinced many of those prospects to like or follow your social media profiles where you can continue to follow up via posts. Similarly, if you’re using email marketing and you captured your prospects’ email addresses, then you can follow up via email to close the sale. Email marketing is one of the most effective digital marketing tactics. Where else can you literally generate sales on-demand? All you need to do is type up an email promoting a special offer, click send, and sit back as the leads and sales come in. But there is a big catch. You need to have a list of email addresses to email! 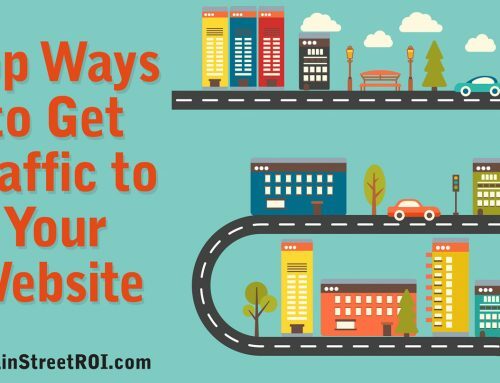 That’s where the other tactics come into play… SEO, online advertising, and social media provide the website traffic you need to generate more email subscribers. And as your list grows larger and larger, then sales from promotions will increase proportionately with no additional work! It’s the same amount of work to email a list of 10 as it is to email a list of 10,000. Similar to email marketing, the main benefit social media receives from the other tactics is an increased audience. Businesses using SEO, online advertising and email marketing have more website traffic they can use to build up their social media audiences. Plus, email marketing now plays an important role in Facebook advertising. More specifically, I’m referring to Facebook custom audiences, which you can create by uploading your email list to the Facebook Ads platform. Facebook then matches your emails to existing Facebook users so you can advertise directly to that custom audience. Pretty cool right? It’s not just cool, it’s effective. These ads are much cheaper than traditional ads and they are obviously much more targeted since you literally tell Facebook who you want to target. Click here to request a consultation with a Main Street ROI Marketing Advisor.